We are friends, collegues and collaborators. Every one of us has his/her strengths in different fields of work. Together we are prepared for all the tasks and challenges during a process of composing, recording and mixing. Karol Obara - composition, sound design, programming & mixing - studied Jazz-Guitar in Warsaw and Berlin. 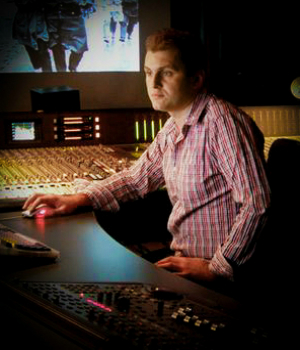 Diploma in Film Scoring and Sound Design at the Film Academy Baden-Wuerttemberg in Ludwigsburg. Agnieszka Horbanowicz - composition, orchestration & arranging - studied Classical Piano and Jazz-Saxophone in Warsaw. Diploma in Jazz-Saxophone at the Hochschule fuer Kuenste in Bremen. Studied Jazz-Guitar in Warsaw and Berlin. Diploma in Film Scoring and Sound Design at the Film Academy Baden-Wuerttemberg in Ludwigsburg. 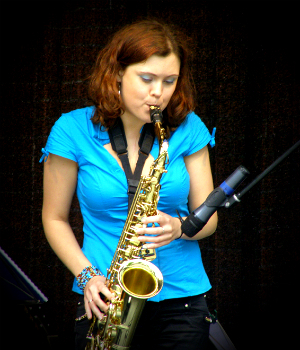 Studied Classical Piano and Jazz-Saxophone in Warsaw. Diploma in Jazz-Saxophone at the Hochschule fuer Kuenste in Bremen. Please contact us if You have any questions regarding our services or just want to say Hi! © 2014 PICTURE LOCK AUDIO. All rights reserved.